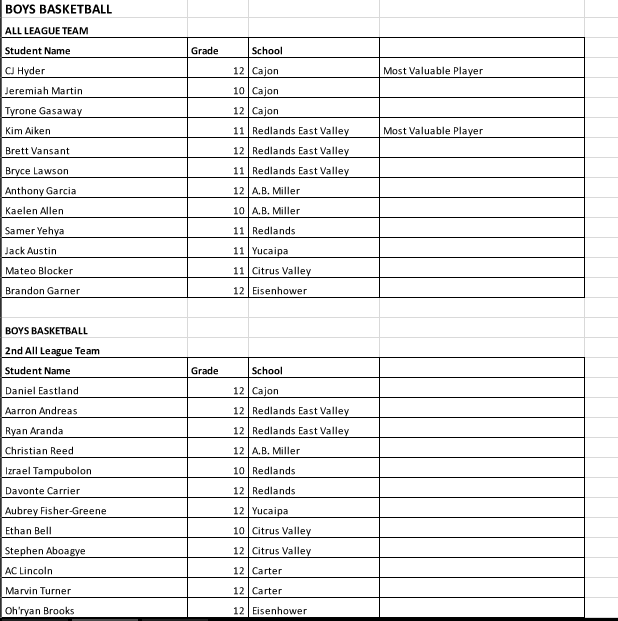 Here is a list of automatic CIF-SS Masters qualifiers from San Bernardino County, and where they placed at their respective CIF last week. Top 5 automatically advance. Sixth place can advance as an alternate, but that isn’t known until later in the week. These are only the top 5 listed here. 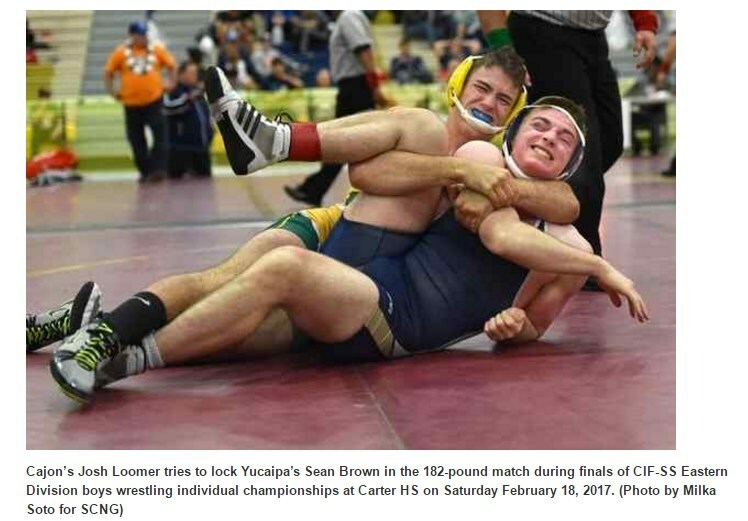 Can 2 local wrestling tournaments survive on same day? This weekend, there are 2 high school wrestling tournaments, held just 12 miles apart. Can they both survive? Originally, there was the San Bernardino County Championships, which had been held at Arroyo Valley years ago. When Arroyo Valley ended its program and director Oscar Briseno started coaching at Bloomington, Bloomington became involved and they moved the event to Jurupa Hills, where is was called the Inland Empire Tournament of Champions. Well, Briseno isn’t at Bloomington any more, and took his part of the tournament,, San Bernardino County championships, to Grand Terrace. So two 1-day tournaments will be held on the same day, one at Jurupa Hills one at Grand Terrace. Bloomington coach Vince LaFarge thinks so. His tournament will only be about 14 teams and he wants to keep it to no more than 16 teams in the future. Maybe you saw in the paper or on our website that the coach who built the Bloomington High wrestling program into a CIF-SS champion, Gabe Schaefer, is leaving. Above, Schaefer talks about winning the CIF-SS Individual Tournament team title for the first time this season. Here are my thoughts. I have a huge amount of respect for Gabe as a coach and his ability to build a winning program with kids who were willing and able, but did not have much experience before high school. I don’t blame him for leaving for Clovis, the most powerful program in the state. He is not a casual wrestling coach, so the opportunity to coach the best team in the state is hard to pass up, so I don’t blame him. He will be missed (by the school and by me). But when Schaefer last year brought on Vince LaFarge, who was a big part of the coaching success at Covina Northview, he made for a smoother transition. It’s hard to say that LaFarge will be able to continue the success that Schaefer started. It could be better, or not quite as good. But it will be good. LaFarge is a veteran coach who has had a year for the kids to know him. The kids just need to stick with him. His success in his career speaks for itself, and hopefully the Bloomington kids will listen.